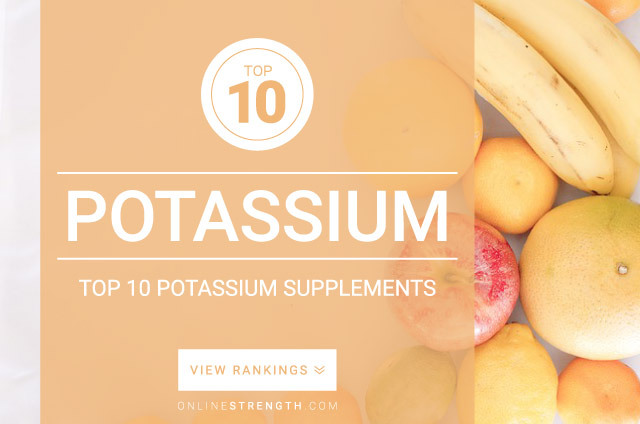 Potassium is known as one of the major electrolytes in the body, along with sodium and chloride. Potassium is used by the body for a number of enzymatic reactions and physiologic processes. Potassium is used by the body to help keep many of the organs healthy and functioning optimally. A deficiency in potassium can cause a number of health problems. USDA surveys show that most Americans suffer from low potassium levels. Individuals who rely on heavily processed foods are at risk for low potassium levels. Most other various leafy greens, fruits, vegetables, meats, and fish contain potassium as well but in lower amounts. All forms of potassium are readily absorbed by the gastrointestinal tract. If you have a sensitivity to potassium you may experience GI upset, nausea, diarrhea or vomiting. Before 1994 a low prohibited supplement companies from going over 99 mg of potassium without a warning label. Post 1994 this regulation is no longer in effect.